Facilities Management - Better Outcomes Through Technology After attending the Honeywell User Group conference last year, I asked “what do you get when you put 135 Facilities Managers in one place?” There were indeed some hilarious but unprintable responses, however the correct answer was talk and ideas; big ideas voiced by like-minded people who share an incredible passion for their work. It is these ideas, wishes and dreams that have led to the creation of some of the smartest integrated building and systems management technology on the planet and it’s all geared to making the life of a Facilities Manager easier. 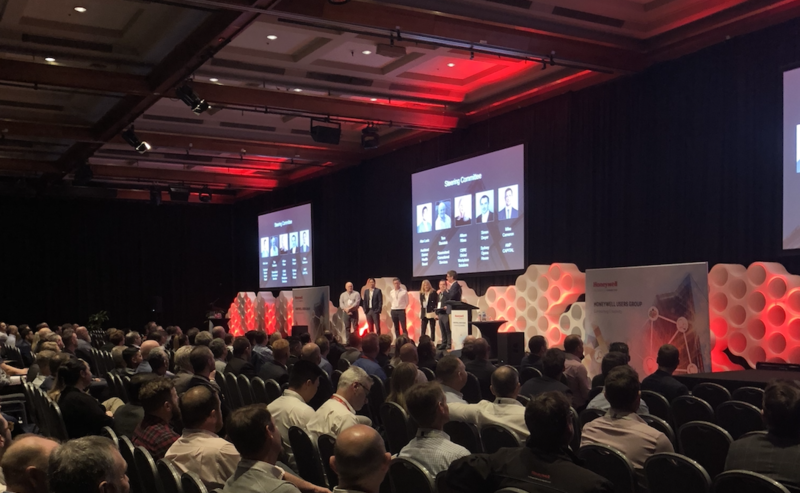 The real-life manifestations of these ideas were showcased at the 2018 Honeywell User Group conference, which was attended by a staggering 220 Facilities Managers from across the Asia Pacific region including 40 from New Zealand. The Connected Building Centre comprised 15 booths jam-packed with the very latest technology designed to monitor, control and manage every aspect of the buildings we live, work, eat, sleep and play in. By harnessing the power of sophisticated data analytics to accurately inform utilisation and maintenance decisions, we achieve better outcomes for building users while effectively taking care of the all-important bottom line. Lifecycle optimisation is, of course, the main aim of a comprehensive maintenance regime, but why stick rigidly to a Planned Preventative Maintenance schedule on plant that is returning data that tells you it is running within its optimal performance settings? Wouldn’t it be better to target the equipment that is out of whack before it causes down time, consumes more energy than it needs to or wears down to a reduced lifecycle? Space sensor analytics can help to prioritise further, allowing resources to be directed to densely occupied or popular areas rather than slavishly providing services across the board. Reducing the impact of incidents, whether they be operational, functional, security or budget related is what it’s all about. Having instantaneous access to an enormous raft of data displayed as zoomable maps, incident workflows, standard operating procedures, dashboards, maintenance history and much, much more all on one touch screen is quite frankly mind-blowing. It’s like the bridge of the Enterprise, albeit without the sound effects and the squiggly comms thing for your ear. This technology is not the fictional creation of Gene Roddenberry; it is real and is being used to manage some of the world’s most prestigious buildings such as the breath-taking Burj Khalifa in Dubai, the world’s tallest building. Abdul Quyyoom Siddiqui’s presentation to the conference on their analytics driven RCM (Reliability Centred Maintenance) regime captivated a packed conference hall. Perhaps my question this year should have been “how long does it take to wash down the Burj?” Answer: a team of 36 window cleaners takes 3 months! The light hearted smart-phone quiz identified a majority of delegates who first listened to music on vinyl and thought the invention of the Sony Walkman was the defining moment of their teenage years. Hearing from a group of millennials, aka Digital Natives, brought the use of technology across all aspects of modern life sharply into focus. Never mind driverless cars, they expect to be docking their transport drones on the roof!